Most of the bites and stings heal on their own even without visiting a doctor. 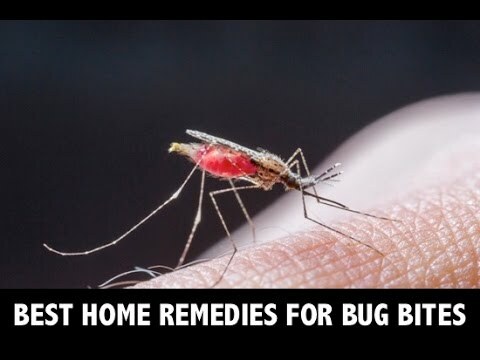 However, there are some home remedies you can consider to get relief from itching and pain as well as prevent an infection. Your first reaction to a bite or sting is applying an ice pack onto the area for about 15 – 20 minutes. Do this several times a day at regular intervals. When using ice, remember to have a cloth between the ice pack and your skin. And, don’t apply ice for a longer time at a specific time. Also, avoid falling asleep with the ice on your skin. In fact, a single ice cube is capable of constricting the blood vessels and decreasing the natural histamine release of the body. When ice is not available, choose to place a cool, wet piece of cloth on the bite for 5-6 hours. Make sure you keep the affected area elevated so as to reduce swelling. Lavender, coconut and tea tree oils exhibit properties that can reduce pain, itching, and swelling. Specifically, tea tree oil is antibacterial; hence it can help in the prevention of infection caused due to continuous scratching. If the essential oil is too strong, remember to dilute it using water. Well, honey is an excellent anti-inflammatory agent. Apply a coating of honey on the area of the bite; you can feel that the itching has become a little less tempting. For the results honey offers, you had better not mind its stickiness! Milk is one of the most effective techniques to fight bites. Mix equal parts of water and milk, dip a thin piece of cloth (for example, a handkerchief) into the concoction; dab your skin with this fabric. Lemon is loaded with stuff that is antibacterial and provides relief from itch. When using lime juice on your bites, just make sure you stay indoors because lime or lemon juice can burn your skin when exposed to the sun. Most of the toothpaste seem to have a peppermint or mint flavor as well as the menthol ingredient which produces a cooling sensation. Well, your brain tends to pick up on this cooling sensation much faster than the itching sensation. Besides, the natural astringent property of toothpaste helps decrease swelling. Basil leaves consist of chemicals like camphor that creates a fresh feeling, much similar to the menthol in your toothpaste. All you have to do is crush a few basil leaves and apply the leaf bits directly on your bites. Experts suggest that tea bags serve as a great home remedy for insect bites. Cool tea bags seem to draw fluid out of your bite, thereby reducing itching and swelling. Dab vinegar using a piece of cloth or cotton onto the individual bite spots to get quick relief from pain and itching. Apple cider vinegar works even better in this regard.